A Mexican Bean Salad is a colorful, spicy, and refreshing bean salad. The dressing is absolutely sensational in this bean salad - so many taste sensations. It begins with oil and vinegar, but then it gets fancy. There 's lemon and lime juice, garlic, cilantro, sugar, cumin, hot sauce and chili powder to taste. 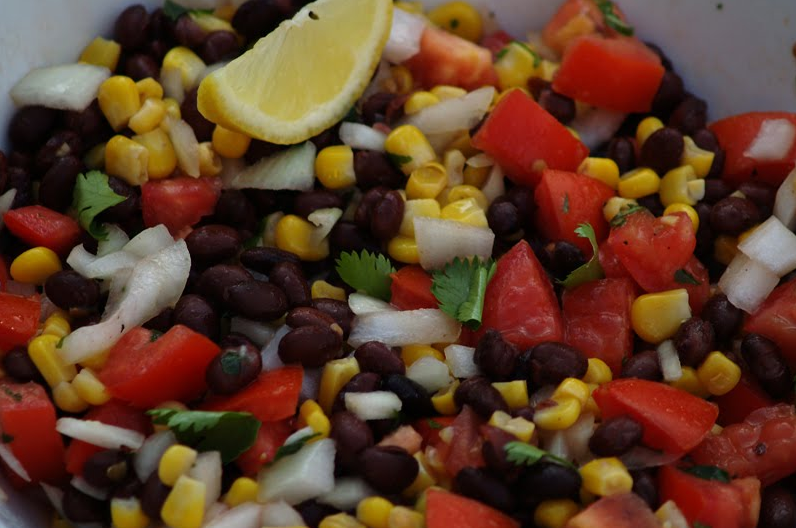 A Mexican Bean Salad is a colorful, spicy, and refreshing bean salad. The dressing is absolutely sensational in this bean salad – so many taste sensations. It begins with oil and vinegar, but then it gets fancy. There ‘s lemon and lime juice, garlic, cilantro, sugar, cumin, hot sauce and chili powder to taste. 1. Take a large bowl, combine beans, bell peppers, frozen corn, and red onion together in it. 2. Now take a small bowl, whisk together the other ingredients like olive oil, red wine vinegar, lime juice, lemon juice, sugar, salt, garlic, cilantro, cumin, and black pepper. Season to taste with hot sauce and chili powder. 3. You have to pour olive oil dressing over vegetables; mix it well. Chill thoroughly, and serve cold.